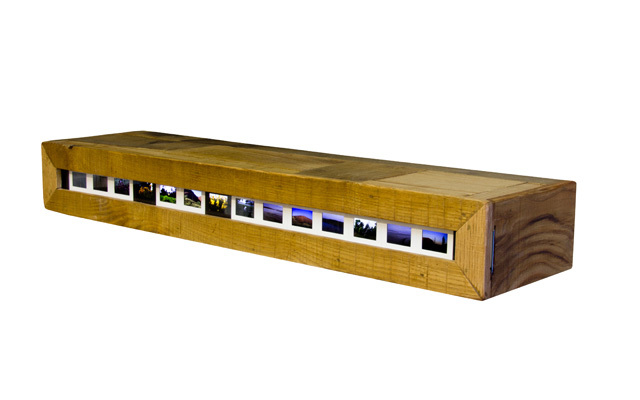 The slide wood shelf is made of handcrafted mosaiced chestnut wood and is decorated by 15 slides that run on a track behind protective plexiglass; the slides can be inserted from both ends. The images are illuminated by two leds that are located inside the shelf and are powered by 9 V rechargeable batteries. The batteries can be changed quickly through an invisible opening on one side of the shelf, there are no cables in view. 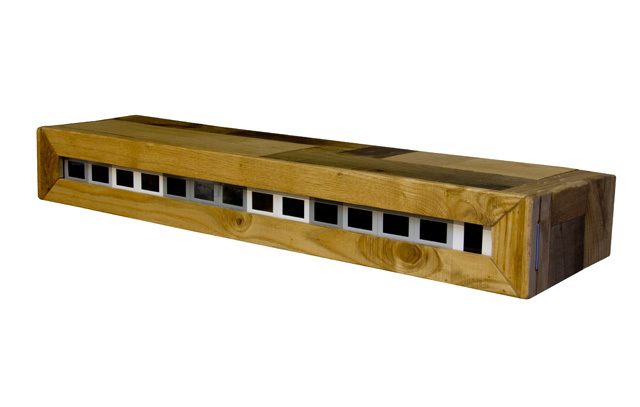 The slide wood shelf is entirely hand-made.